The University of Chicago Medicine and Biological Sciences, one of the nation's leading academic medical institutions, has been at the forefront of medical care since 1927, when it first opened to patients. Today, it comprises the University of Chicago Pritzker School of Medicine, a top 10 medical school in the country; the University of Chicago Biological Sciences Division, a section committed to scientific discovery; and the University of Chicago Medical Center, consistently ranked among the best hospitals in the nation by U.S. News & World Report. Twelve Nobel Prize winners in physiology or medicine have been affiliated with the University of Chicago Medicine. 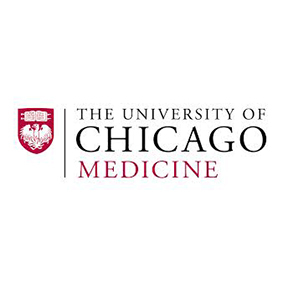 University of Chicago Medicine physicians are members of the University of Chicago Physicians Group, which includes about 900 physicians and covers the full array of medical and surgical specialties. Our physicians are faculty members of the Pritzker School of Medicine. These organizations are headed by Kenneth S. Polonsky, MD, Dean of the Biological Sciences Division and the Pritzker School of Medicine, and executive vice president for medical affairs at the University of Chicago. In fiscal 2014, revenues for patient care totaled $1.4 billion at the 568-bed medical center. Each year, UChicago Medicine admits more than 25,000 patients and logs more than 78,000 visits to its adult and pediatric emergency departments.